We work closely with our clients to develop their identity and voice, ultimately informing how they engage with the world. Our design process is iterative; a wholly rewarding endeavor in which the client (and we) can a thoughtful look at what their company is looking to accomplish. Presentational elements—moodboards, copy, logo/mark iterations— are crucial in defining the brand and an integral part of the mechanism by which we build something beautiful, unique and effective. They’re rare, but every now and again, a creative project we’ve developed never sees the light of day. Sealed in the vault (or in this case, The Flat File) only to be posthumously explored here in these pages. Wooden Sleepers is more than a clothing company. It’s an ode to a life well timed; an exploration into vintage style, identity and dedication thoughtful visuals. Owner and founder Brian Davis writes a love letter to curation with his Red Hook, Brooklyn storefront, reapproaching sartorial standards to create a whole new genre of classic clothing. 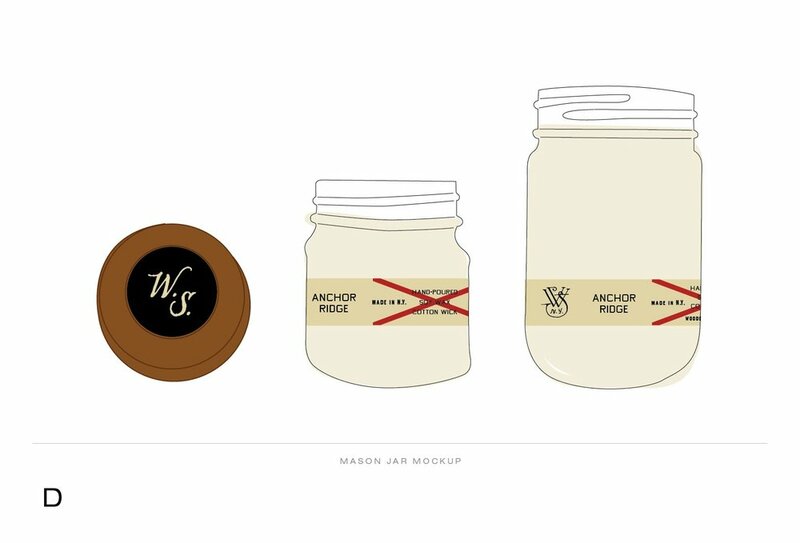 Brian approached us looking to design a label for the signature, handmade candle he sells in his shop, applying existing assets developed by (total badass) Jon Contino. Brian wanted to equip the candle with the same unique aesthetic he’d developed in other places throughout the Wooden Sleepers brand. 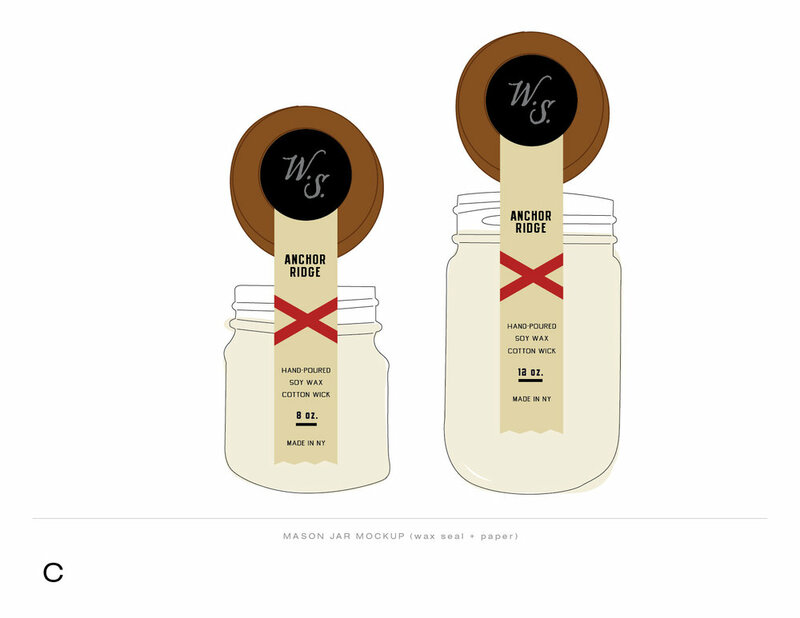 Iterating within an existing brand versus setting up something from scratch poses interesting challenges. We knew we wanted to preserve the specificity already created, but we also wanted to build in a few new potential uses for those existing elements— like a set of flags or logos that aren’t used on the day-to-day. Keeping within the color palette and pulling elements from each, we developed a set of 5 options in two different sizes to start the discussion with Brian. In the end, Brian decided against making any changes to the candle, sticking to the thing that has garnered him so much success thus far: his instinct. And we’re ok with that. Ultimately, what we care about is that Brian, through a few rounds of design and intense thought, walked away happy; vindicated in the knowledge that his initial concepts were the best for Wooden Sleepers.